Praise God!! Funding received for this project! STOP PRESS!!! This project is now fully funded!! Read more of the project below. 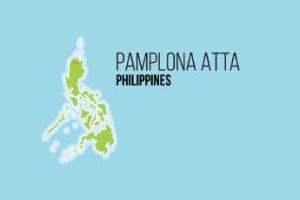 The Pamplona Atta are nomadic tribes who live in the mountain and riverine areas of the Cagayan province in the Philippines. There are just 1,400 speakers of the Pamplona Atta language, and 95% are animistic. They believe that the world is inhabited by spirits and supernatural entities, both good and bad, and that respect be accorded to them through nature worship. Our team in the Philippines would like to produce recordings for the Atta, so that they can hear the story of Jesus in their own voices, in culturally appropriate ways. Their location is very remote, and as usual it will require a number of visits to survey, translate, record and get feedback. The total estimated cost of both producing the recording and distributing materials afterwards is AU $4,500. Despite being fully funded, there is always room for more money to assist a project. If you feel led to contribute to this project or if you want more information, please contact Mark Hughes. Or you can give here designating your gift to "The Pamplona Atta"